As the days in the Northeast, Northwest and Midwest get chillier and darker with fewer daylight hours, we tend to move indoors and spend more time with our electronic entertainment. Getting cozy in front of the electronic hearth with music or movies over the winter months is a modern tradition. With that in mind, here are some guidelines for both newcomers as well as enthusiasts who want to enhance their home listening and movie-watching experiences. Try—if only for a few hours—to abandon any entrenched belief that stereo is the only way to listen to music. If youve been listening in stereo for the past 20 years or only listen using ear buds and an iPod, pick a couple of your favorite CDs to play back in 5.1 channels at a friends home who has an AV surround receiver, using Dolby Digital ProLogicII(x), dts Neo:6 or H/K's Logic7. The added side surround speakers will bring those stereo recordings to life by steering the reflected and ambience cues to the side and rear surrounds, where they belong. Of course, stereo was the standard format from the late 1950s until the mid-1990s, but digital recording has enabled not just more high-fidelity channels (up to 8, including the subwoofer channel) but sophisticated real-time decoding (analysis) of the stereo and phase information to extract reflective spatial cues that are routed to surround speakers will make music sound much more real, spacious and "live." Think about the last concert you attended—indoor or outdoor. Sure, the performers were at the front, but the sound came at you from all directions, reflected and reinforced from side walls and ceilings in indoor concerts or even from foliage and buildings at outdoor venues. It's those reflections combined with the direct sounds that make a recording sound real when it's played in surround sound at home. Your brain can analyze the arrival times and strengths of direct and indirect reflections—but you'll miss out on many of those time and amplitude cues if you listen only in stereo. The information will be there, but coming at you from the wrong direction. So think about upgrading that 15-year-old stereo receiver with its scratchy controls and noisy switches and entering the world of surround sound. (Note: Not every stereo CD benefits. Many do, but much depends on the original engineering and mix of microphones. Live stereo recordings of all musical genres, jazz discs, opera and classical benefit the most. Get some simple two-or three-microphone “audiophile” recordings from labels such as Telarc, Chesky, Reference Recordings, and Mapleshade, to cite a few, and try those.) With a little adjustment of channel and surround speaker levels, a well-engineered stereo recording will be a sonic revelation when you hear it in 5.1 channels for the first time. 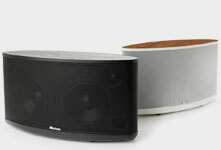 A Great Loudspeaker May Change Your Life and Outlook. Upgraded electronics may introduce subtle differences in sound quality, and large powerful amplifiers will bring a real immediacy and dynamic range if your current AV receiver or amplifier is underpowered. 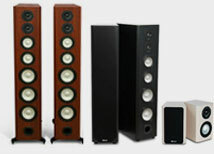 But a new and well-designed loudspeaker, the device that actually makes sound, can change your life if it's really good. You'll never tire of listening to it over many years as you discover new music and re-discover your old recordings! Set biases aside when you shop for loudspeakers, keeping in mind that there is no necessary correlation between natural, uncolored musical sound and price. 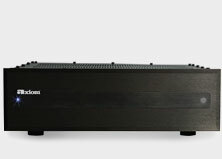 Price does influence the physical size of speakers and subwoofers, of course, and, generally speaking the larger the physical size of a speaker or subwoofer cabinet, the greater the potential for powerful deep bass and more overall bass output. Find speakers from companies with a long history of acoustical research, who rely on scientific double blind listening tests to judge the quality of their products. So often you hear of speaker companies promoting some fancy material they use and generally have it backed up by some evidence in physics that inevitably leads to their conclusion that it must therefore sound better. This sort of hype ranges from being a number of half truths to being total nonsense. Unfortunately the acoustical factors that do in fact matter when it comes to your listening experience are somewhat dull and painfully tedious to explain or interpret. Though this is not particularly favourable for a quick marketing sound byte, it is the companies doing this sort of research that you want to buy your speakers from. If you're shopping on-line or in person at a retail outlet, you'll encounter a lot of misguided advice and encouragement to buy expensive speaker cables and interconnects, audio and video links that in virtually all applications make absolutely no difference in sound or video quality – except for very long cables to projectors or lengthy runs in large whole-house systems. Some prominent makers of cable, because theyre so profitable, spend huge amounts on promotion and advertising, which is what youre paying for when you fork out $100 for a 6-foot length of HDMI cable or a reel of branded specialty speaker cable. Copper is copper, and little notes and images dont dance along the cables—electrons do. They move at near the speed of light and will move in a generic speaker cable or in a $10 HDMI connection just as well as in highly touted exotic and overpriced cable. Spend the savings on great recordings and better speakers. HDTV Flat Screens Are Fun But Dont Ignore the Sound! As large LCD and plasma HDTV flat-screen TVs come down in price and get thinner and thinner, some barely an inch thick, there is precious little space inside for the built-in speakers. Unlike the old analog picture tube sets, which had tons of space for decent-size speakers, manufacturers of thin, sleek LCD and plasma flat-screen displays have to install minuscule speakers to retain the ultra-slim look. Consequently the sound is often strictly lo-fi, like a cheap kitchen radio. It makes sense to upgrade sound quality to match your great high-definition TV picture. The North American broadcast HDTV audio standard now includes Dolby Digital in up to six channels of excellent hi-fi sound (5.1) and most major TV series and sports broadcasts include it. 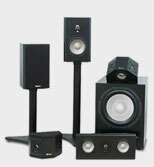 So match your big-screen HDTV images with equally great multi-channel hi-fi sound played through excellent speakers. AV surround receivers start at $200 or less and you can upgrade gradually, beginning with a good pair of bookshelf speakers for the front channels, adding the surround channels and subwoofer later on. You'll miss out on a lot if you don't upgrade the aural to match the visual. Research has shown that systems with great sound and mediocre video will deliver a more pleasing experience than one with great video and mediocre sound. The bottom line is to keep the budget well balanced but err on the side of improving the sound quality. One "scholarly" examination on the subject, as reported by an Axiom colleague, was an AES (Audio Engineering Society) conference paper delivered in the mid/late 1990s. While not pointing towards one being more important than another, the research found that the two perception mechanisms (hearing and vision) interact and reinforce one another in a complex relationship. The sum total of the home theater experience is actually more than the individual parts, and, therefore, having high quality audio can actually enhance our impression of the video performance and vice versa. 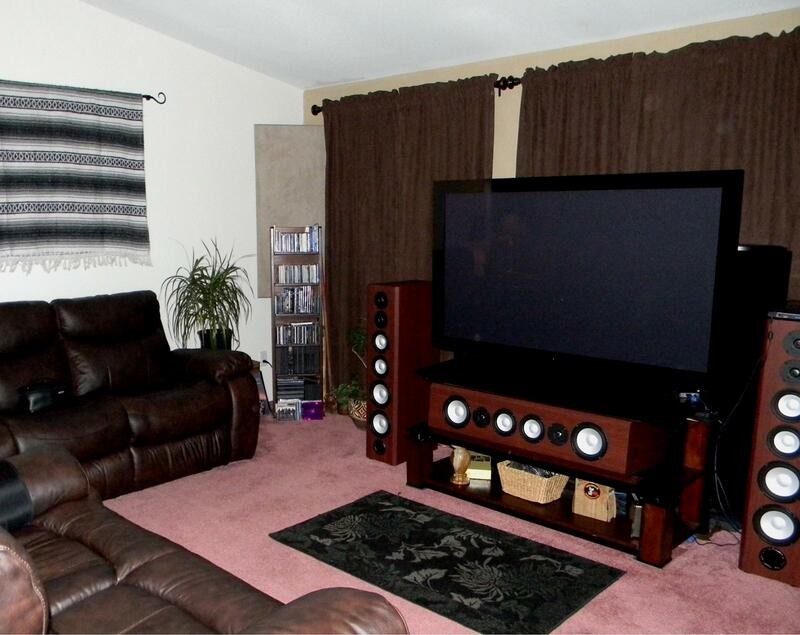 If you're going to have the HDTV, a high quality surround system will improve all aspects of the home theater experience.